This Companion provides scholarly yet accessible new interpretations of Greek history of the Classical period, from the aftermath of the Persian Wars in 478 B.C. to the death of Alexander the Great in 323 B.C. Konrad H. Kinzl is Emeritus Professor of Ancient History at Trent University, Canada. He is editor of Greece and the Eastern Mediterranean (1977), Die ältere Tyrannis (1979), Problems and Method in Greek History (1988) and Demokratia (1995), as well as author of Miltiades‑Forschungen (1968) and articles on archaic and classical Greek history and the sources.. 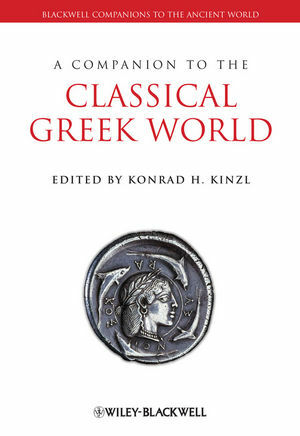 Provides scholarly yet accessible new interpretations of the events of classical Greek history. Topics covered range from the political and institutional structures of Greek society, to literature, art, economics, society, warfare, geography and the environment. Discusses the problems of interpreting the various sources for the period. Guides the reader towards a broadly-based understanding of the history of the Classical Age.